With over 25 years of experience, Todd serves as trusted counsel to public and private companies, private equity and other investment funds, family-owned businesses and individual entrepreneurs, with a focus on mergers and acquisitions, financings and other transactional activities. Todd has acted as the principal outside attorney on scores of M&A and financing transactions, representing buyers and sellers as well as their investors, boards of directors, management teams and other constituents. 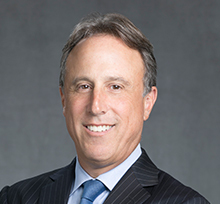 Todd regularly acts in a general counsel capacity for his clients, including public companies, advising on securities law and other regulatory and compliance matters, day-to-day commercial arrangements and disputes, and strategic growth, capital formation and other business initiatives. Todd’s experience spans a broad range of asset classes and industries, including infrastructure, logistics, specialty finance, business services, travel services, consumer products, energy, real estate and Great Lakes shipping, and includes distressed, cross-border and contested transaction situations. Todd seeks to provide practical, business-oriented legal solutions that help his clients and their businesses grow and prosper at every stage of the business life cycle. Todd's clients appreciate his ability to understand their business needs and goals, to assess and address the legal risks of the particular business endeavor, and to clearly communicate value-added advice. Todd has also developed significant experience with special purpose acquisition companies (SPACs). He has represented a number of SPACs in their initial business combination transactions and related financing activities, including the related SEC and shareholder approval process. Todd has also counseled hedge funds and others with respect to investing in SPACs, as well as private companies considering a sale of their business to, or combining with, a SPAC. Representation of Essex Rental Corp. (Nasdaq: ESSX) in its sale of Coast Crane Company, a provider of crane rental and related lift solutions, to Maxim Crane Works, LP, a portfolio company of Apollo Global Management. Representation of Footbridge Partners LLC in its sale of smarTours LLC, a provider of direct-to-consumer, value-oriented travel services, to Summit Park LLC, a Charlotte-based private investment firm. Representation of Specialty Consumer Services LP, a specialty finance service provider, in its sale of assets to Meta Financial Group, Inc., a bank holding company. Representation of Icahn Enterprises’ portfolio company, WestPoint Home, LLC, in its acquisition of Nostalgia Home Fashions, Inc., a manufacturer of handcrafted quilts, bedspreads and related items. Representation of Regency Affiliates, Inc. (OTC: RAFI) in its acquisition of a portfolio of five stand-alone self-storage facilities in Harrisburg, PA. Representation of Essex Crane Rental Corp., a provider of crane rental and related lift solutions, in its sale of assets through UCC foreclosure and auction to Maxim Crane Works, LP, a portfolio company of Apollo Global Management. Representation of Ultramar Travel Management, Inc., a corporate travel management company, in its sale to Travel and Transport, Inc. Representation of Rand Logistics, Inc. (Nasdaq: RLOG) in its acquisition of Lower Lakes Towing, Ltd. and Grand River Navigation Company, providers of bulk freight shipping services on the Great Lakes, and multiple add-on vessel and operating company acquisitions. Representation of Hyde Park Acquisition Corp. II (Nasdaq: HPAC), a special purpose acquisition company, in its proposed $340 million business combination with Santa Maria Energy, LLC, an independent energy exploration and development company. Representation of public company in its proposed $400 million acquisition of a helicopter lease portfolio from an international financial conglomerate. Representation of financial investor in MISO (Regional Transmission Organization) joint venture trading platform. Representation of Essex Rental Corp. (Nasdaq: ESSX) in its acquisition of Coast Crane Company, a regional crane rental company, in a Section 363 bankruptcy sale. Representation of Regency Affiliates, Inc. (OTC: RAFI) in its acquisition in joint venture investment with DTE Energy, an affiliate of Detroit Edison, of a co-generation energy facility in Mobile, AL. Representation of Hyde Park Holdings, LLC in its acquisition of a controlling interest in a diversified public company, sale of non-core assets and recapitalization, and subsequent going-private transaction.